Review by Jdot, 2 years ago. Review by TF, 2 years ago. Review by austin, 2 years ago. Please refer to the information when the item is in your cart. If the promotion is current and the item applies, you will see the discount taken out there. Again, this is only if the promotion is current. Promotions also do have restrictions that will be stated. I just bought a 913 driver from your store last week and saw a discount of 10% on 915 driver, is it still good. 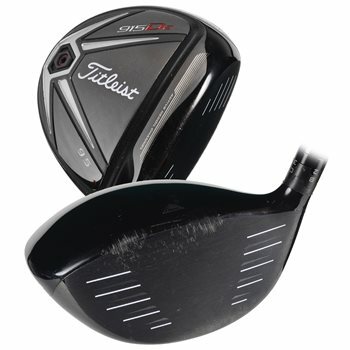 I need to buy a 915 d2 driver . At this time, there isn't an applicable discount on Titleist clubs. The current promotion applies to Taylormade golf clubs. I see you have over 200 titlist 915 d2 drivers in stock. I wanted to know if you could go back and look to see if you have one with "midsize" grips as new as possible and let me know the condition and brand of the grip before I order this from you? Unfortunately we are not able to see the clubs that are shipped. We ship from multiple locations and our shipping department will simply pick the item that is on top and process the shipment. We guarantee the grip will be in playable condition. If it is not, we will put a new grip on the club before shipment. There is not a guarantee of the size and type of grip that will be on the golf club. What is the difference between shafts red or blue?What is the lowest degree the 10.5 can be set to? Wrench included? The M+ red is the high launching shaft with softer tip for slower to average swings. It is also lighter in weight than the S+. The S+ is the mid-to-average launch for the average golfer. If you are purchasing new condition, a tool will be included. If you are buying used, then you can bundle the tool with the club. Tool SKU is: 1024199-AAA-2-7-B. A 10.5 can be adjusted down by 3/4 degree or up by 3/4 or 1.5.
is the tool to adjust available with this driver purchase? Does the club head come with the purchase? New clubs will come with the headcover but used clubs will not.